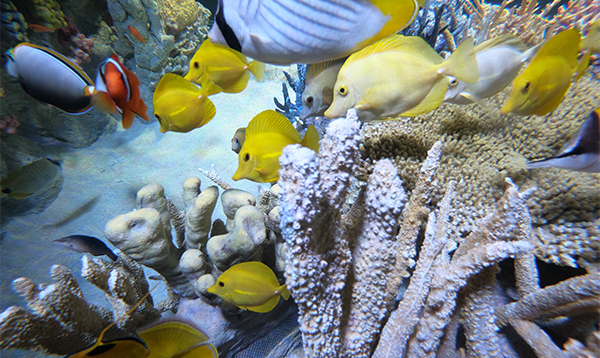 The Aquarium provides educational resources and activities for teachers, families, kids, and adults. Explore all that we have to offer. 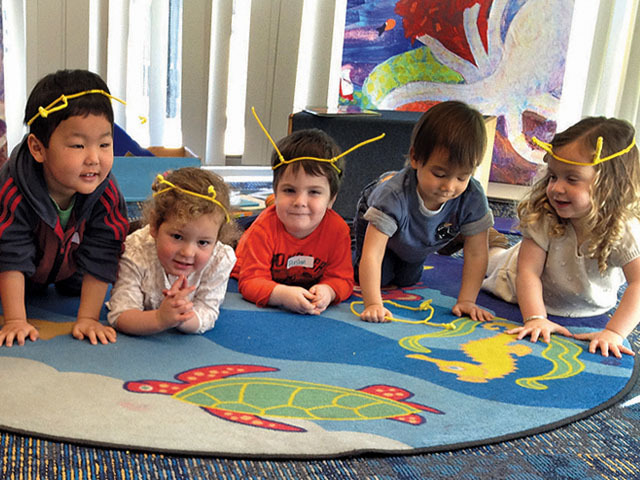 Discover programs available at the Aquarium or in your classroom. 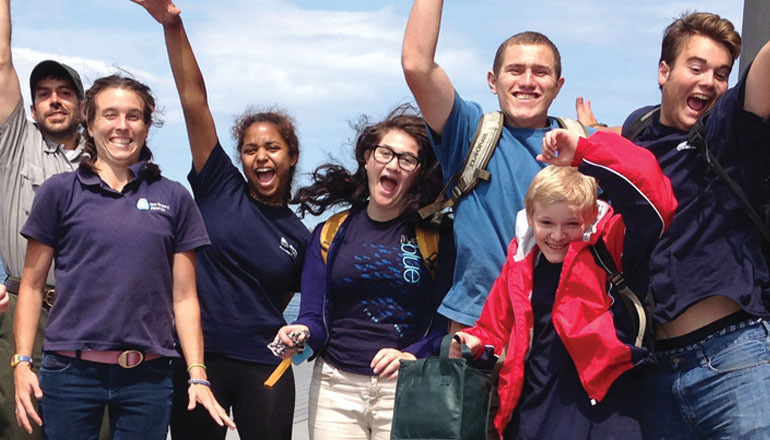 Make learning fun and unforgettable with programs on local marine life and habitats, developing science skills, and encouraging a stronger science identity. Explore learning opportunities for all ages. Search by age group to find learning opportunities for all ages, including classes for toddlers with their parents and volunteer programs for teens. 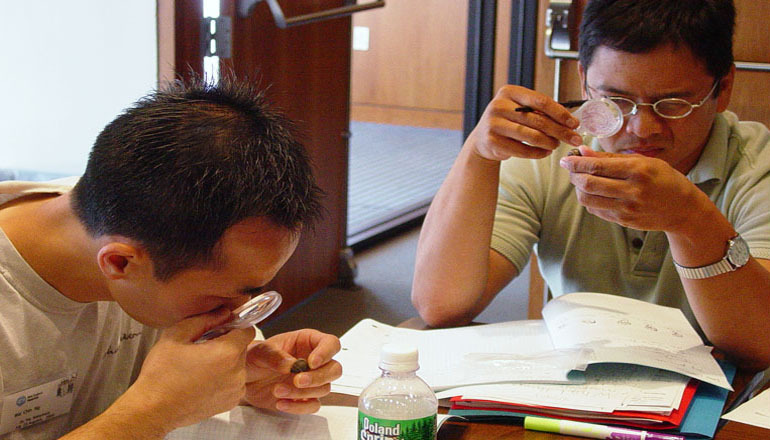 Discover resources for you and your classroom. 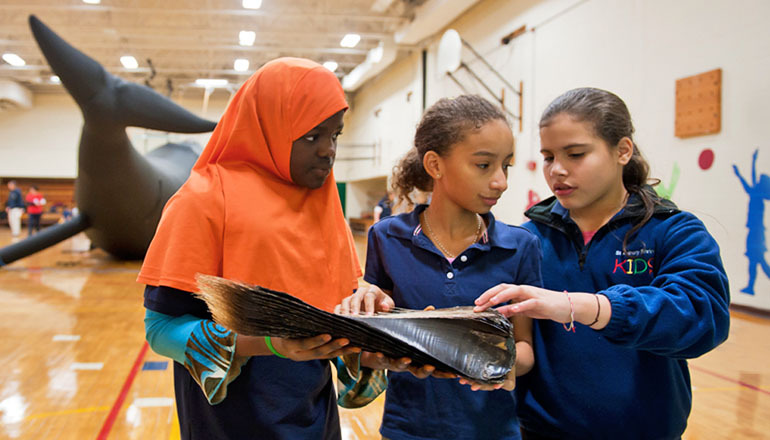 From professional development workshops to teaching materials on loan, get the tools you need to make ocean education engaging, inspiring, and informative for your students. So How Old Is Myrtle? 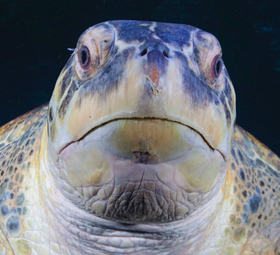 A resident at the New England Aquarium since 1970, Myrtle the green sea turtle could show researchers about how long sea turtles live! A panel of experts at the Protect Our Coasts event at the Aquarium warned that offshore oil and gas development is bad for the environment and bad for New England. Our new 9,000-gallon, floor-to-ceiling exhibit highlights one of the most happening neighborhoods in the ocean: an Indo-Pacific coral reef! 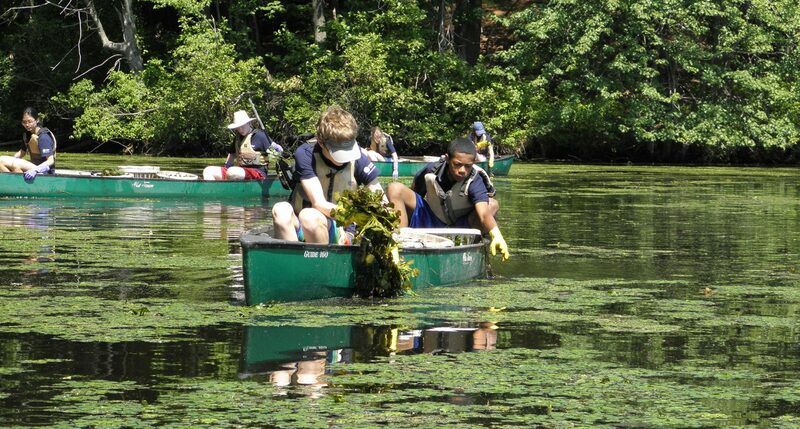 Teens help with habitat cleanup and citizen science in our service-learning program for teens. Explore the deep sea and discover how fish are just like you and me. Now enrolling for 2019 programs. 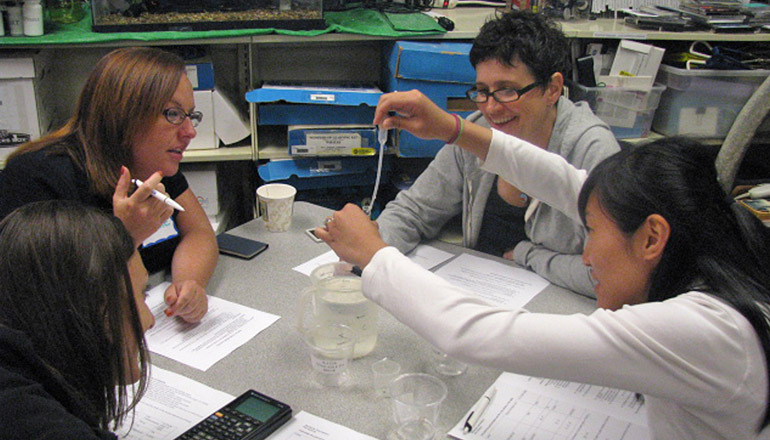 See our lineup of spring and summer educator workshops focusing on climate science and STEAM.